An EYP session would be nothing without its participants. The Chairs, Media and Organising teams are the Officials of the session and they lead the delegates to help them get the best out of the event. The President has many functions during the session. Throughout the session, she co-ordinates the different groups of participants: the delegates, journalists, chairs and organisers. As the public face of the session, the President and board (consisting of two or three Vice-Presidents) chair the debates during the General Assembly, ensuring that the official procedures are followed. The Chairperson of each Committee is the delegates’ immediate guide through the session. As experienced former delegates from all over Europe, they plan and lead teambuilding, facilitate discussions in Committee Work and encourage their delegates throughout General Assembly. EYP sessions have the tendency to rush by in a blur of intense experiences, in particular for delegates. The session press team, made up of Journalists and the Editor, serve to crystallise the events in various different media, most importantly the session newspaper. Session newspapers can host a variety of content: photographs, interviews with participants or speakers, articles on the session and its events (from academic to light-hearted) and pieces on current affairs. As former Delegates, the journalists understand well the wishes and needs of the Delegates and with their session presence provide a lighter counterweight to the more serious debates of Committee Work and General Assembly. In addition to the chairs, one Journalist is assigned to each Committee. The Organising Committee consists of 18 highly motivated students from all over Switzerland. Since the March 2015 8 of them, the members of the core team, have been preparing the foundations of the session. In September 2015 10 more joined them to work towards a perfect event and more will become part of the Orga Team as the session draws closer. The Delegates are the heart of the session. 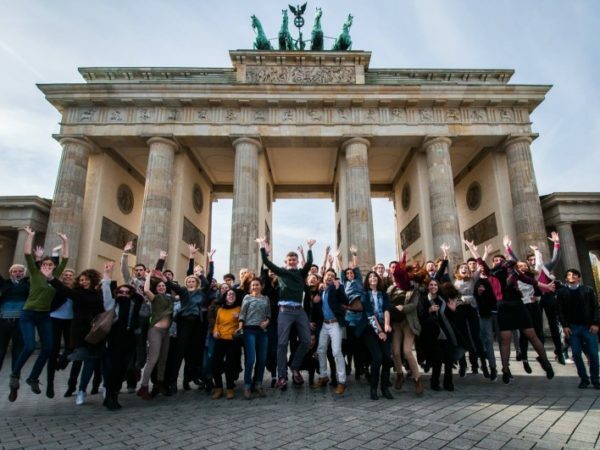 The majority of session participants being delegates, the officials (Chairs, Journalists and Organisers) are there solely to inspire a new generation of European youths for the politics and cultural exchange EYP has to offer. During the session, the delegates are provided with a platform to exchange their opinions and political views freely with other interested youths and to debate current issues. Here you will find the booklets and content we are providing our participants with. See all of them on our issuu page! Click here. Whether you’re one of our Participants or simply an individual checking out the page, see the work of our Journalists – videos, articles and infographics meant to enhance the learning curve and understanding of the topics the Committees are dealing with. A great place to conclude your research. Check out the infographic made for the topic by Annemarie Sepp – the committee Journalist. Check out the topic infographic made by Tamer Özgen. During your preparation read this case study as well. It might prove useful! Click on the image above to test your knowledge in the topic – take the quiz! In order to give you a better insight into the topic of ECON I dealing with the huge issue of inequality between rich and poor. Josephine Heinzelmann and Juan Estheiman Amaya have put a lot of work in the following video and infographic. Refresh your topics facts with this ECON II infographic. Amber Davy, the Committee’s Journalist, prepared yet another comprehensive video about the ECON III topic. Take a look – it is worth it. Take a look at the infographic devoted to EMPL’s subject. Take a look at statistics connected to the topic of ENVI I – presented in an attractive visual form. Infographics are a great way to visually memorize facts – while being cool at the same time! Take a moment to review what you know about FEMM’s topic using this piece. Weronika Betta, the Committee’s Journalist, took a real-life example to illustrate effects and seriousness of the topic debated by LIBE I. Interested? Enhance your perspective with this article. This article by Lukas Burnar may give you some perspective in understanding FEMM’s topic – a very brief and useful reading. Must have for participants! Samuel Hönle, Committee’s Journalist, made sure to create a very informative piece. See for yourself to discover relationships between various aspects of the topic. PECH has a radio program! Listen for example on your daily commute and enhance your knowledge! Videos embedded in the tabs not working? Technical errors can always happen. Try refreshing the page or go directly to our Vimeo account to watch there. It keeps happening? Scroll down to the footer and report the error to our IT guy using the link in the “Get in touch” section.